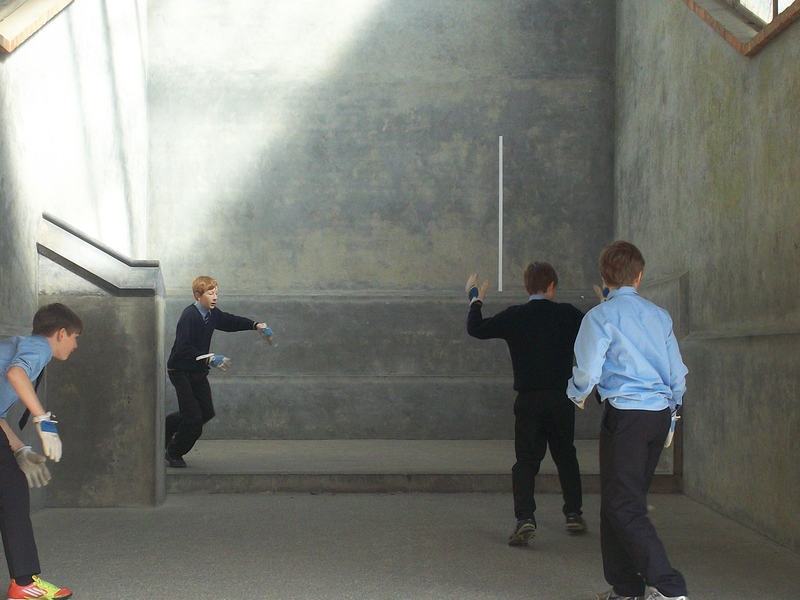 William Hazlitt described the game of Fives as the best court game in the World in 1820. 50 years later a master at Eton claimed their version of Fives was the most valuable contribution ever made by the school to the well-being of mankind! Lofty claims indeed! Fives is a handball game played in an idiosyncratic court with various ledges and buttresses mimicking the walls of the Eton chapel where the game originated. It is a game which requires great skill and reflexes and we are very lucky to get the opportunity to play on a weekly basis at Cranleigh School on their 6 courts. It is a game that has captured the interest and enthusiasm of a number of notable celebrities both past and present including 6 past England cricket captains and the author Roald Dahl. If you wish to play you need to see Mr Mark Halstead to find out when sessions are taking place. There are a number of school fixtures which we play in the Michaelmas and Lent terms culminating in the Nationals and the Prep Schools’ Championship which take place at the end of the Lent term.